Mediterranean-influenced restaurant Seven Spoons has been named Lifestyle Asia’s 6th Best restaurant in Bangkok, and appeared on Bangkok Top Tables 2014 in addition to being recognized by Thailand Tatler. So why is everyone talking about Seven Spoons? A gastrobar on the edge of Chinatown, Seven Spoons was previously located in a single shophouse, before moving to a bigger venue in order to accommodate its customers. The minimalist interior accentuates the intimate setting, providing diners with an escape from some of the more bustling streets of Bangkok like Sukhumvit. Behind the bar stands Attapon De-Silva, the restaurant’s self-taught mixologist. Commonly referred to as “The Potion Master,” he creates Seven Spoons signature cocktails each month. 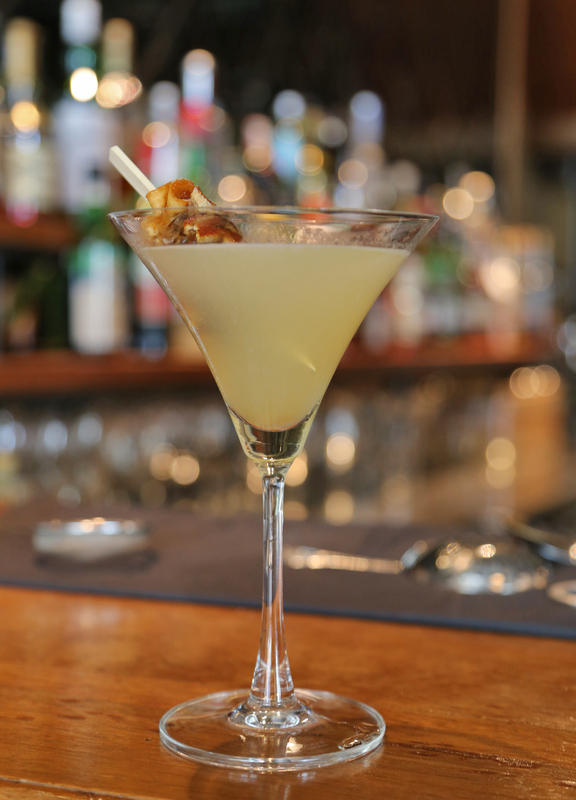 One of his latest concoctions, Vicky’s Secret, is a low calorie cocktail consisting of cachaca, white wine and pineapple juice with a hint of lemon. But the innovative nature of Seven Spoons doesn’t stop at the bar. Bringing an experimentative style to the kitchen, executive chef Joke Phairomahakij single-handedly created the menu, which combines different flavours and textures in order to take simple food to a modern and international level. According to Nianne-Lynn Hendricks, one of the restaurant’s five partners, Seven Spoons was one of the first restaurants to introduce quinoa to Bangkok. Perhaps ahead of another trend, Hendricks also shared that Seven Spoons has started serving Razor clams. Customers are vocal about their delight once they receive the bill at Seven Spoons; the dinner menu ranges from a THB90 dessert to a THB580 filet mignon. Seven Spoons is also environmentally conscious. Most of their ingredients are locally produced and organic, with the majority bought from the Royal Project and small organic farmers. For example, the hand-made organic artisan ice cream comes from Chiang Mai. Though the kitchen closes at 10:30pm, Seven Spoons is open for dinner daily, except Monday, from 6pm to 1am. In addition, the restaurant also serves lunch Monday to Saturday from 11am to 3pm.